Samsung announced earlier this week that it plans to unveil the new version of the Galaxy S9 and Galaxy S9+ at February 25 at the Mobile World Congress 2018 in Barcelona. 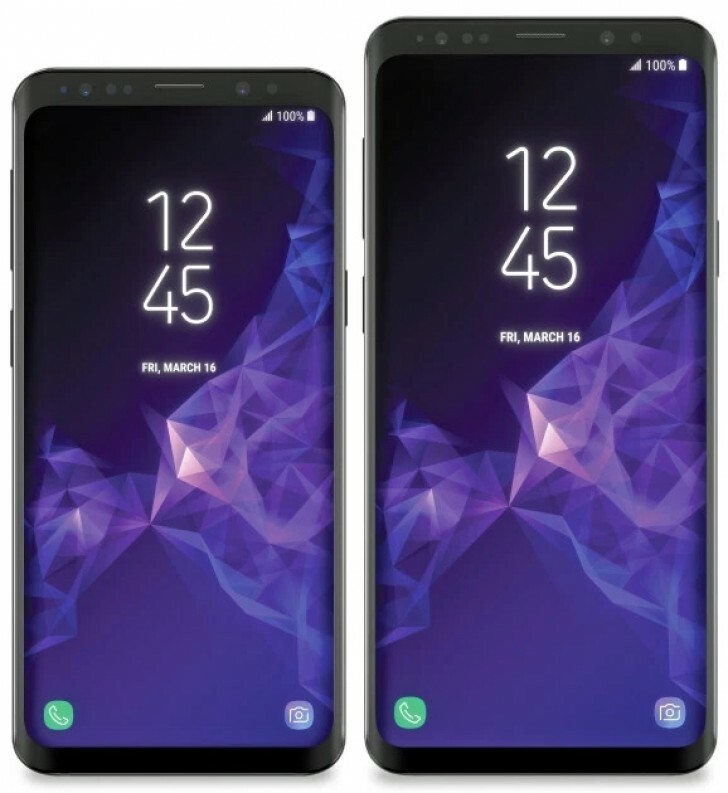 Evan Blass or @evleaks is a well known Twitter leakster and he has published a purported press image of the Galaxy S9 and the Galaxy S9+ today. the image shows a nearly bezel-free rounded display very similar to the existing Galaxy S8 models. Also still present: A dedicated button to summon Bixby, Samsung’s digital assistant. Blass says the devices will have the same 5.8-inch and 6.2-inch measurements. The S9 will run the Snapdragon 845 SoC, but the Plus variant will have better specs, The S9+ has 6GB of RAM and 128GB of internal storage, while the S9 has 4GB of RAM and 64GB of storage, same as in the Galaxy S8. The Galaxy S9 and Galaxy S9+ will both feature a primary 12-megapixel rear camera with variable aperture that will automatically switch between f/2.4 and f/1.5 aperture for optimal imaging performance.